... when you're carrying one of these absolutely adorable Coach Legacy Tanner Mini totes. 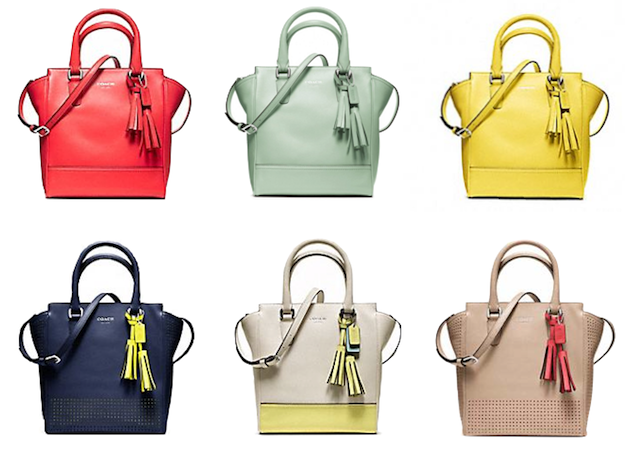 Ever since I saw the similarly shaped Celine bag, I liked... when I saw the beautiful bright colors of these Coach totes.. it was love. The watermelony/coral is my fave, how about you?